We have a new online boutique in town! It happens to be my neighbor and close family member. I also had the privilege of helping create their brand identity. Rachel, the owner has a great eye for the latest trends. 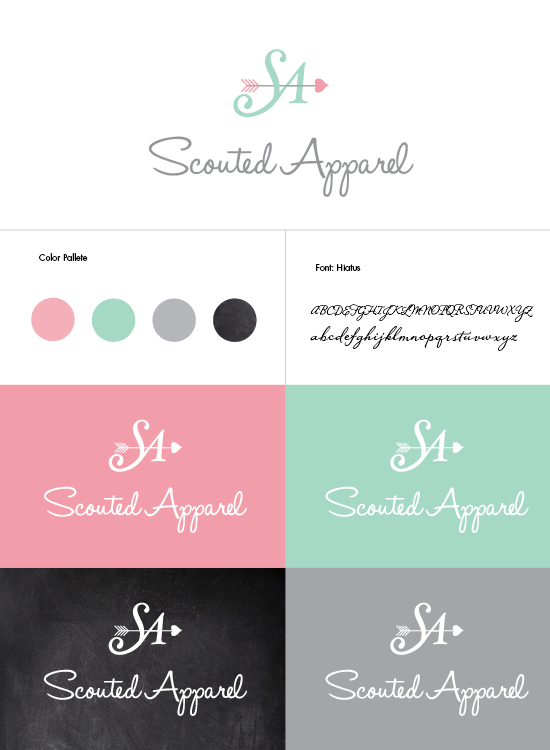 Hop on over to their site and see what Scouted Apparel has to offer. In the mean time, check out the brand we created! We’re both suckers for mint green so naturally we had to make that part of the brand. If tuned into my last two outfit posts, then you’ve seen the cute mint clutch and a metal plated belt I scored from their shop. What do you think of the logo?